Warner Brothers released the first photo for the new Vacation Movie and also showed the first Vacation movie trailer at CinemaCon 2015 this week. The Griswolds return this summer in Vacation. This time around a grown-up Rusty Griswold (Ed Helms) takes his own family (Christina Applegate as his wife Debbie, and Skyler Gisondo and Steele Stebbins as his sons, James and Kevin) on a trip to Walley World. Also joining the fun are the couple who started it all (and who also took us to Europe and Vegas, and gave us a most memorable Christmas): Clark and Ellen Griswold (Chevy Chase and Beverly D’Angelo reprising their roles, but now as grandparents). Not pictured is Rusty’s equally grown-up sister Audrey who is played by Leslie Mann. At CinemaCon the Vacation trailer seemed to be the movie that surprised everyone. Roaring laughs and a cheering crowd welcomed the approximately 2 minute Vacation trailer. 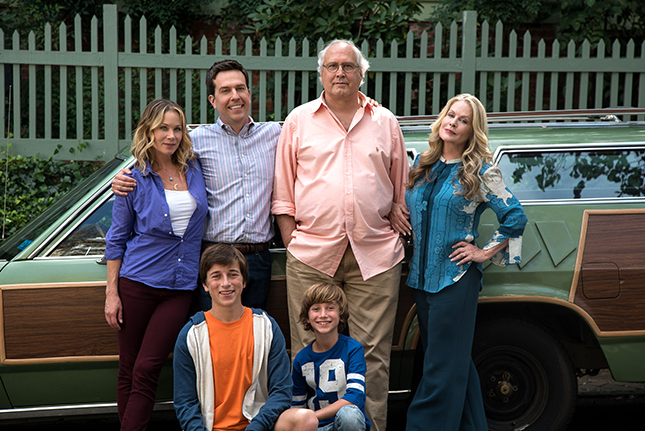 Vacation could be the unexpected Warner Brothers hit and it looks like everything is lined up perfectly for Vacation to welcome a new generation of Fans to the Griswold family. The Vacation movie will also launch July 31, in the middle of the Summer block buster movie spree. Fingers crossed that this Griswold Vacation is the start to another amazing series of classics. I found this interview on Collider by Steve Weintraub. This is the first interview I have seen online since learning a few weeks ago about Vacation coming out. I have to say it sounds pretty awesome. Jonathan Goldstein as hints in this interview that the Vacation Movie trailer might be coming out the first week of May. Now I am just hoping for a classic Vacation movie poster like the original 1983 Vacation Movie. The Vacation Movie Red Band Trailer was released today! Take a look. You might want to get the kids out of the room first. 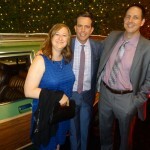 We are back from the Vacation Movie Premier in Hollywood. It was AMAZING! 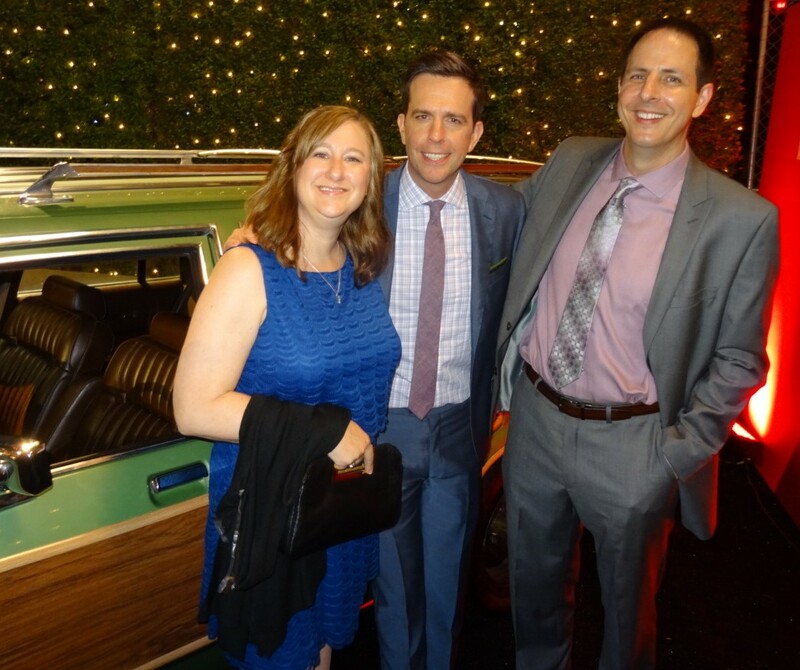 We met Chevy Chase, Ed Helms, Christina Applegate… If you are a fan of the original Vacation Movie you will not be disappointed. Here’s looking at even more Griswold Vacations to come. I have also added a Vacation Movie Premiere and Vacation Movie After Party with the cast and stars to this article. So be sure to have a look at all the 2015 Vacation Movie photos. Enjoy and go out and see Vacation. It is in theaters today, July 29, 2015! See Behind the Scenes of the Vacation Movie as Lisa and I tour the sets and also film as extras in the Vacation movie at Walley World. 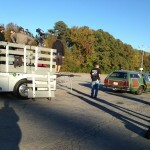 Also our Wagon Queen Family Truckster is in the Vacation Movie. So I have enclosed a few shots of the Truckster driving into Walley World at Six Flags over Georgia.